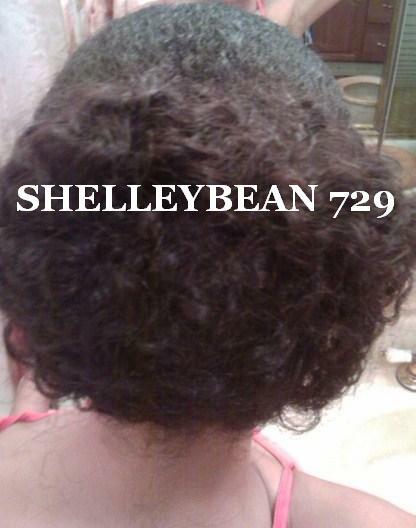 This is a phony bun that I made using Milky Way Indian Hair Brazilian Curl !!! I purchased 14 inches in a 1B. I LOVE IT ! 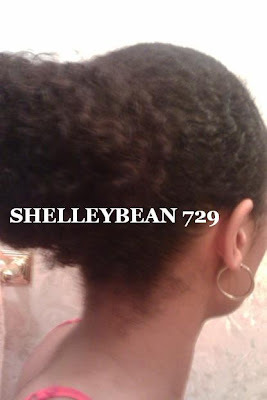 - I shampooed and conditioned the hair with my KeraCare Weaves & Extensions products. - I washed my real hair as normal, applied my leave-ins, and then applied my Eco Styler Olive Oil Gel over my edges. 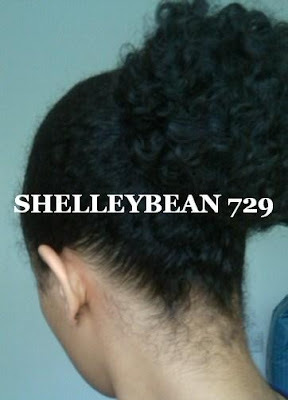 - I pulled my hair into a ponytail, and wrapped the tracks around my real ponytail. 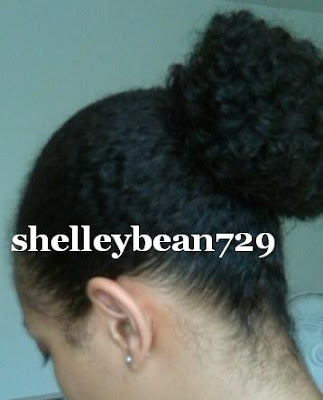 - I bobby pinned the hair down, twisted it up into a bun, and wore that thing fiercely !!! Here are the pics and the link to my video where I show the entire process step-by-step. Wow! The hair matches your texture perfectly!! I have to put this in my rotation for the summer since I'm taking down my crochet braids. Just one question...was the hair expensive? 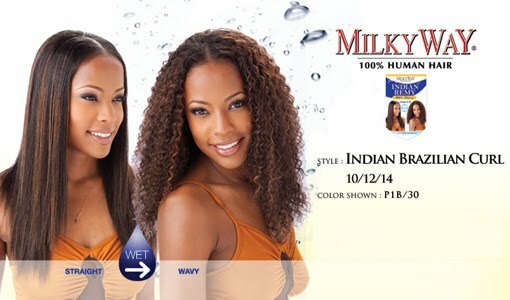 I noticed you bought indian hair. wow this is soooooooo pretty I would have never known this wasn't your hair if you didn't say anything.. I'm not a weave expert but I do know that this is nothing like the pricey quality kind of indian hair you have to buy online by the ounce... I paid 40 dollars for it at the BSS. I only used exactly half of the pack,and I'm expecting it to last me at least 3 months for bunning only...I will keep you posted on how it holds up but I do think it was worth the price so far =) I just hope it stays this soft months from now. I'll keep everyone updated ! This is such a great idea and pretty too! I am going to try and find some cheaper wet n wavy hair at my local bss.